I’ve talked to you about salmon before. I really like it. A lot. This uses the same marinade, but a different method. Let’s go! Pour equal parts orange juice and soy sauce. 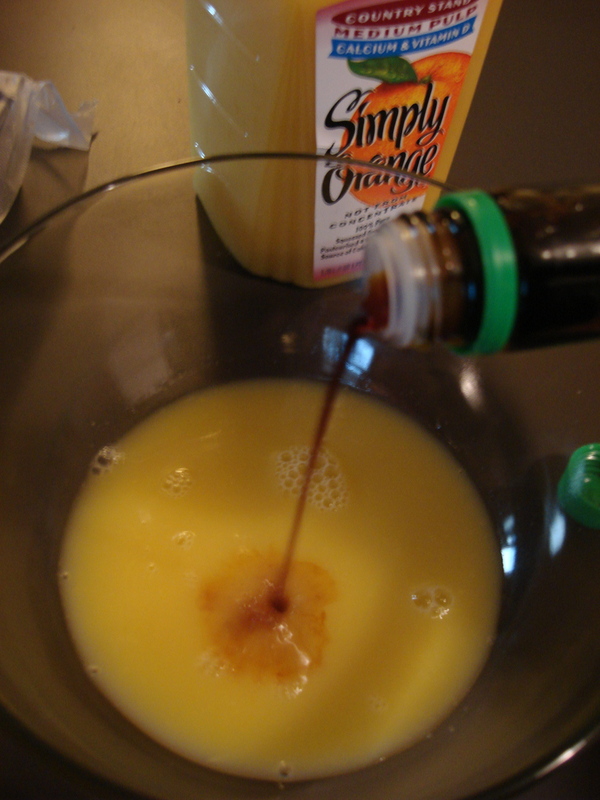 In a medium to large sized bowl, mix two parts each of orange juice and soy sauce to one part brown sugar (light or dark is fine here). Mix well. 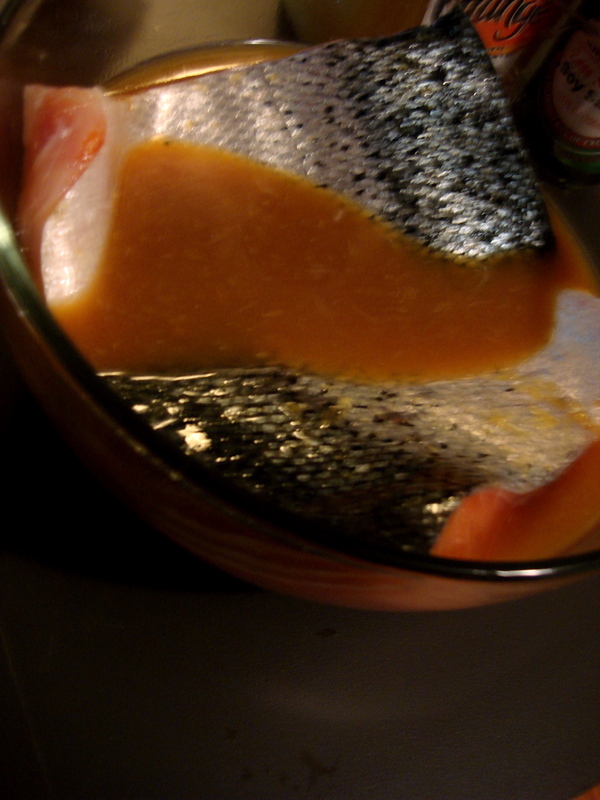 Put salmon into the marinade so that as much of the salmon is immersed as possible. Let marinate for a couple of hours in the refrigerator. 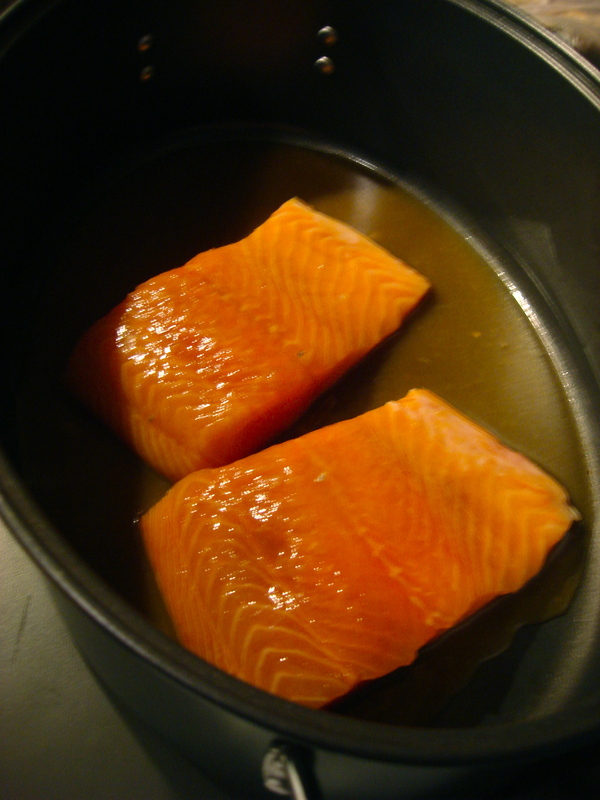 Preheat the oven to 400 degrees F. In a roasting pan, place the marinated salmon and pour the marinade over and around the salmons. 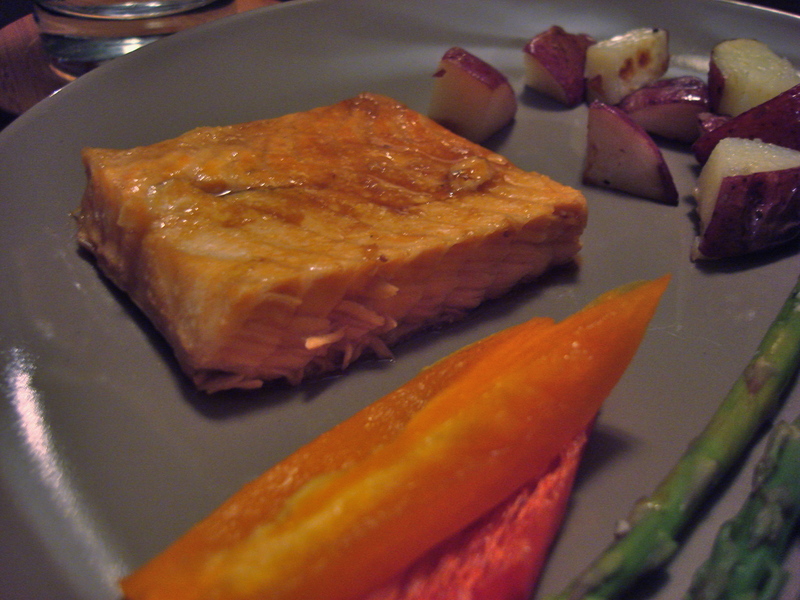 Then, cook in the oven for about 20 minutes, or until the salmon is fork flaky.